I have been doing an inventory of all the things lying around my house that once belonged to my dad (they all need to be packed off to Oldton eventually). 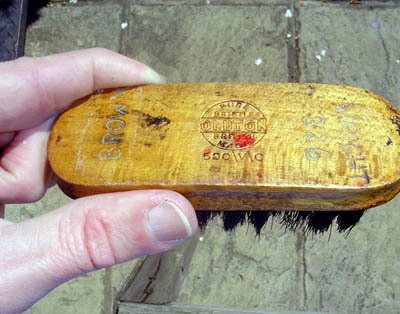 Here is a a photo of his old shoe brush, made no doubt at the factory discussed elsewhere on this site. The waves on Oldton sands in 1956 … The tide of prosperity went out years ago. The happy, wealthy Victorian and Edwardian families deserted the substantial beachfront hotels – at first for the War, then the Depression, then for War once more, then rationing, then foreign travel. Today, the happy, pinched, red-shouldered families spend pennies on chips and the Pixie Tea Rooms, beer at half price if it rains, pool tables on the pier and a raucous disco at night. Scattered on the pebbles at the top of the beach are a few blackened nets and a handful of crab and lobster pots. The tractor that used to drag the fishing boats from the foam up the sand has been abandoned, beached like flotsam, awaiting a Christo to wrap it in canvas and charge aesthetes to be photographed alongside, perhaps with their faces pushed through the hole rent by a vandal, drunk on half-price beer because it rained. The original of this drawing is missing. 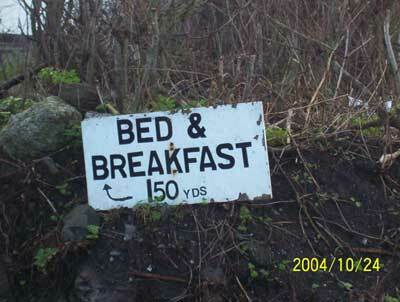 there before the occurences that eventually led to its demolition. "I have promised Rob that if he ever becomes rich and famous, I will live on a cottage on his estate and manage his herd of reindeer, dressed in traditional Lapp costume (that's me, not the reindeer). " 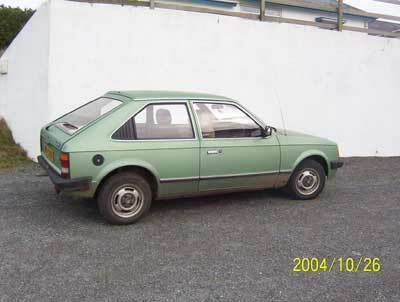 My father, Bill, also went off in his car and didn’t come back. Not that he killed himself, unless you count the fifty fags a day for thirty-odd years, but he still wound up dead. He set off to fill the tank and, on the way, suffered a massive heart attack whilst – considerately, consciously, one would like to think – steering his Vauxhaul Astra gently into a verge. 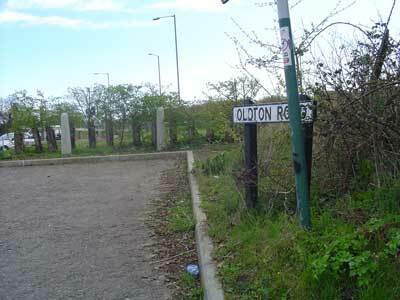 ‘But what has this got to do with Oldton?’, I hear you ask in that disembodied voice of yours. After all, it happened in a small Lincolnshire town with its own very definite and different name. Well, over the intervening years I have come to believe that, in a roundabout way (travelling clockwise, in other words – he was an aficionado of the corny joke), my father was en route to Oldton at the time. Dad went to the petrol station in preparation for a short holiday with my mother. They were due in North Norfolk the following day and mum didn’t want them to go: she thought – she knew? – that he was too ill to drive that far. Afterwards, what with the funeral and the grief, with everyone and everything that needs to be taken care of after a death, it never occurred to me to ask where they had been going. 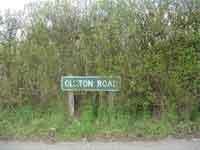 But now I’m almost certain: their putative destination was Oldton. 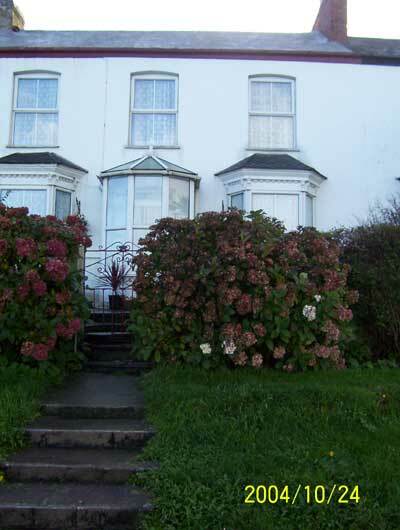 Mrs Millaby’s guesthouse by the beach, to be precise. Dad never got to fill the tank, never came home. Although, reassuringly, he’s still around sometimes, very early on weekday mornings when I’m doing yoga downstairs and I feel compelled to stretch and sway facing the empty room, his presence too strong to turn my back on. Eventually my brother Barry wrote a wonderful, empathetic poem about dad’s death. It pretty much says it all. 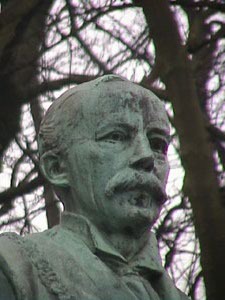 I feel that Oldton lacks a few statues, possibly in a park somewhere. All across the land there are empty plinths, stone figures with no name and tributes to individuals who we longer give a toss about. Are these all pieces of Oldton? Well, here's an amazing find on the Web. 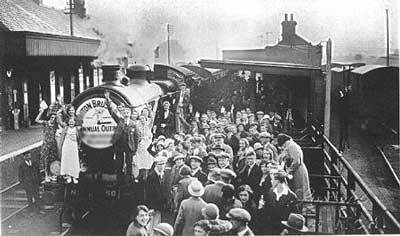 Not only could this be the train station that both Elaine and others mention, but here's the train for a pre-war brush factory outing. My grandfather must be in this picture somewhere. The picture of another pye dog you received recently had not one but two street signs in it. Blow them up and you can plainly see that this photo was taken in Oldton. The entry about the White Hart made me think about how often we do surround ourselves with images of and allusions to mythical beasts. Why do we do that? 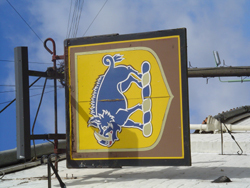 Here's a pub sign of a Blue Boar, for you. I notice that you have Oldton beer and references to drinking, but no actual boozer. 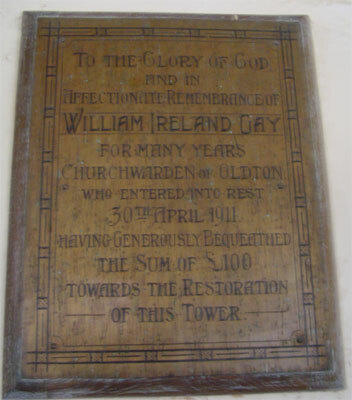 I've found another citizen of Oldton.